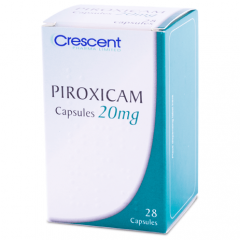 Common uses : Azelastine is an antihistamine that reduces the natural chemical histamine in the body. Histamine can produce symptoms of itching or watery eyes. 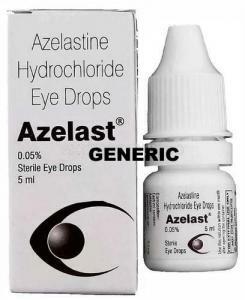 Azelastine ophthalmic (for the eyes) is used to treat itchy eyes caused by allergies (hay fever). 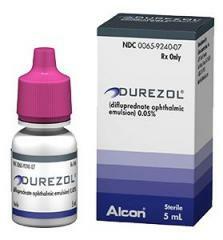 Before Using: You should not use this medication if you are allergic to azelastine. Do not allow the dropper tip to touch any surface, including the eyes or hands. If the dropper becomes contaminated it could cause an infection in your eye, which can lead to vision loss or serious damage to the eye. Slideshow: 11 Signs of Alzheimer's Disease - Or Are You Just Getting Older? 11 Signs of Alzheimer's Disease - Or Are You Just Getting Older? Do not use this medication while wearing contact lenses. 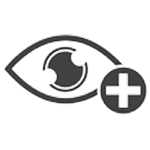 Azelastine ophthalmic may contain a preservative that can discolor soft contact lenses. Wait at least 15 minutes after using azelastine before putting your contact lenses in. Do not wear contact lenses while your eyes are red or irritated. Azelastine ophthalmic should not be used to treat minor contact lens irritation. Stop using azelastine ophthalmic and call your doctor if you have severe eye pain, trouble breathing, or severe burning, stinging, itching, or redness in your eyes. Cautions :If your symptoms do not improve within a few days or if they become worse, check with your doctor. Drugs Interactions: Although certain medicines should not be used together at all, in other cases two different medicines may be used together even if an interaction might occur. In these cases, your doctor may want to change the dose, or other precautions may be necessary. When you are taking this medicine, it is especially important that your healthcare professional know if you are taking any of the medicines listed below. The following interactions have been selected on the basis of their potential significance and are not necessarily all-inclusive. Using this medicine with any of the following medicines is usually not recommended, but may be required in some cases. If both medicines are prescribed together, your doctor may change the dose or how often you use one or both of the medicines. Missed Dose : If you miss a dose of this medicine, take it as soon as possible. However, if it is almost time for your next dose, skip the missed dose and go back to your regular dosing schedule. Do not double doses.